Why Hosur is Stinking ?. Let us make it Eco friendly. 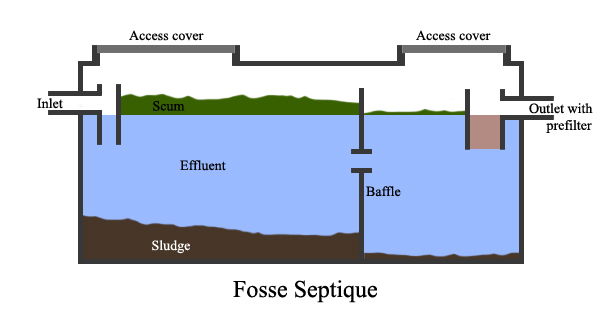 Most of the Septic Tanks are constructed without knowing the right procedure. If you follow the right method, you need not clean or remove the waste from the septic tank for years. You save several thousands. Why Removing waste is a waste.!. If your tank is not constructed as follows or as per the correct method, do it now. Construct a septic tank with 2 to three partition. First partition will collect solids, second one will collect the decomposed solids which is called scum from the first and third will collect the still better diluted water from the second one and finally the decomposed excess water will flow to the outside drain or a soak pit for the garden. This method will not allow the solids to the drain and will not stink. Micro Organisms -To improve this process and for best results add few kg’s of Horse dung either wet or dry which contains worms and micro organism/bacteria , which will digest quickly the solids and waste. Don’t use soap water or acids often, it will kill the bacteria in the tank. The process may get delayed. Horse dung is available in the cattle farm, Mathigiri for some cost. Make Hosur Green – In public Interest A.Lakshmanan, Maruthi Greenfields, Hosur.